Sam, a former violinist with the Connecticut Youth Symphony, graduated from Carleton College, in Northfield, MN, with a Bachelor's degree in history and religion before moving to Santa Fe, where he worked for the organization Citizen Schools at De Vargas Middle School. Since 2012, Sam has been a director of Breakthrough Santa Fe and a teacher at Santa Fe Prep. He also has a Master’s Degree in Education from Lesley University in Boston, MA. Outside of the classroom, Sam likes to play music and enjoy the great outdoors. Yolanda is a Registered Nurse with an MBA working in the community and is the parent of two alumni of the SFYSA. She became a board member and an avid volunteer for the Mozart & Mariachi program (now the Elementary Strings Program) in 2003. She stepped off the board once her daughters graduated, but is gladly rejoining because of her enjoyment of music and the wonderful effect it has on young children. She thoroughly enjoyed the work she was involved in with SFYSA the first time around and would like to give back for all the valuable experiences her daughters enjoyed. Mr. Sanders, has served since August, 2009 as a General Partner of Phase One Ventures, LLC, a Venture Capital firm which focuses on nanotechnology and biotechnology start-up opportunities in New Mexico and surrounding states. A native of Minneapolis, MN, Mr. Sanders earned a bachelor’s degree in political science from Hamline University in St. Paul, MN and an MBA from Washington University is St. Louis, MO. He is a 2011 Honoree of Who’s Who in NM Technology, serves on the boards of 22nd Century Group, Inc., Minnesota Resources, Aqua Membranes Inc., and U.S. Retail Centers and is past chair of the SFNTC Foundation, vice-chair of Santa Fe Economic Development, Inc. and chair of Santa Fe Futures. Mr. Sanders is also an active private placement investor and a member of the New Mexico Angels. Susan joined the board in 1999 after her son, Jesse, graduated the Youth Symphony Orchestra after participating in the orchestra its first five years. Her first task as a new board member was to help launch the “Little Mozart” (now Elementary Strings) string instruction program in the public schools and was excited to see the students’ enthusiasm for this opportunity. Watching the students develop into skilled musicians and mature young people continues to thrill her and brings meaning to her commitment to the work of SFYSA. 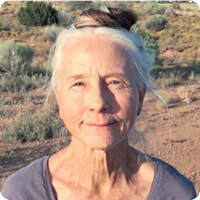 She has lived in the Santa Fe area since 1976 working both as a fine art photographer and as a massage therapist. Adrian is the Communications Associate at Conservation Voters New Mexico. A first generation Mexican-American, he grew up playing cello where music programs opened a path to the arts and humanities. Adrian earned his Bachelor of Arts from St. John’s College in Santa Fe. He got his start in politics at the New Mexico Legislature where he saw firsthand the work of elected officials in his roles at the House Energy and Natural Resources Committee and Senate Finance Committee. Adrian also worked at the New Mexico Legislative Reports as a session reporter and analyst. Interested in deepening his involvement in community leadership, Adrian began working in campaigns where he was tasked with fundraising, event management, public relations, volunteer mobilization, and engaging diverse, local and tribal communities and leaders. Adrian wants to help make sure young musicians have a path to the world through SFYSA. In his spare time Adrian enjoys woodworking, spending time with family and hiking with his dog Lima. Born and raised in Santa Fe, Rebecca is proud to have Northern New Mexico as her home and part of her heritage. She is a registered nurse, practicing and providing care in the field of hospice for the last eight years. She is honored to be part of the communities she serves, and feels deeply connected to the people of Santa Fe and surrounding areas. 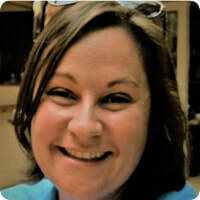 Rebecca graduated with a Bachelor’s degree of Animal Science from Colorado State University, and some time later, and via a slightly different path, received her Nursing Associate’s degree and licensure through the Santa Fe Community College. She is married to her high school sweetheart, and together, they have two vivacious daughters. With her own time, Rebecca enjoys road biking, camping, backpacking, gardening, raising chickens and spending time being, learning and laughing with her family. And although with only a limited musical background of her own, playing the flute as a teenager and young adult, Rebecca is honored to be part of the SFYSA. Mark is a software developer working in the Information Technology division of Santa Fe County. Mark has two children: his daughter Cameron played cello for the Santa Fe Youth Symphony for several years, and recently graduated from Lawrence University in Wisconsin where she majored in music, while his son Ben is taking classes (wood working, pottery, and others) at the Santa Fe Community College. Mark is musically challenged, but holds musicians in high esteem, as he recognizes the hard work and determination it takes to learn the skills that are ​necessary to play music. Mark enjoys supporting his favorite sports teams and taking his dog on walks.